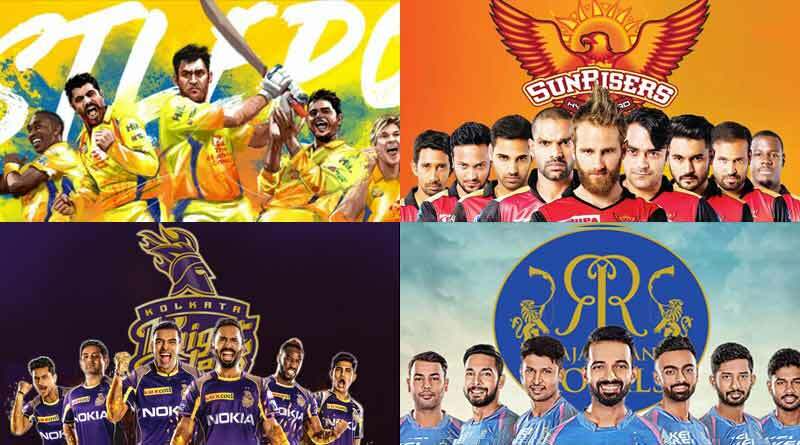 IPL 2018 Final Points Tally – Sunday not only rounded up last week’s matches in the Indian Premier League but also the group stage matches for this year’s Indian Premier League. The penultimate and last match were played yesterday to give the final touches to the table for this season. Seeing the closest fight ever being played out for the play-off spots in the history of the IPL makes the table an interesting view with teams sitting on the same points, separated only by margins of run-rates. The Sunrisers Hyderabad and Chennai Superkings finished first and second respectively. Both ended their 14 matches with 9 wins and 18 points but SRH managed to edge CSK by a minuscule of a run-rate. Kolkata Knightriders and Rajasthan Royals made the rest of the top 4 with 16 and 14 points each. It was heartbreak for the Mumbai Indians and the Kings XI Punjab with a win for either side yesterday could have seen them make the top 4, nicking the Rajasthan Royals in the process. While the Mumbai Indians didn’t deserve a spot in top 4 based on their over-all performances this year, their remarkable turnaround after the first season is highly commendable. Punjab will be left the most disappointed side of the teams who missed out. Sailing high after the first half of the season, riding KL Rahul’s and Chris Gayle’s wave, Punjab self-destructed in the second half of the season to win only two out of seven and crash out of the tournament. The fifth, sixth and seventh spots were occupied by Mumbai Indians, Kings XI Punjab and Royal Challengers Bangalore in that order. Each ended with 12 points and 6 wins and 8 defeats. Delhi who managed two big wins in their last two games completed the table, sitting at last place with the least points. For latest ipl news come back visit us again. Read about IPL 2018 final points tally, IPL match highlights, IPL match preview, IPL match results.